Posted on February 27, 2017 by Mirabella S.
The Ruins of Lace is a historical fiction novel written by Iris Anthony that follows the journey of one particularly beautiful piece of lace through France. But wait! There is one catch: the possession of lace in France was forbidden. So how does the lace make its perilous journey all the way from Flanders to France, wreaking havoc on the lives of the people it encounters? 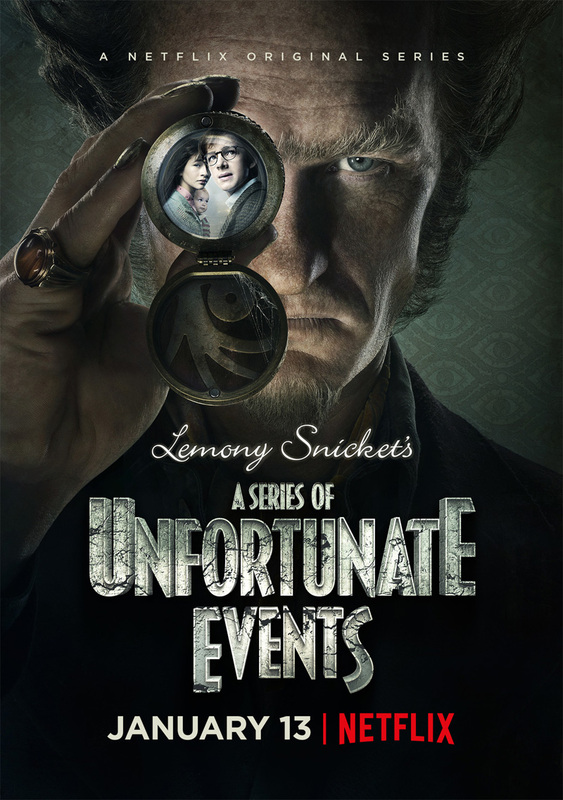 The novel showcases seven unique characters, whose actions all influence each other. 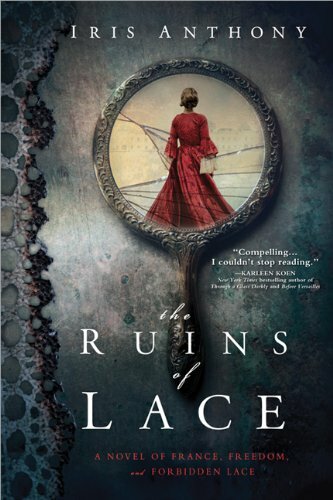 The Ruins of Lace begins from the point of view of Katharina, who is a lowly lace maker in a convent. Hard labor has made her blind, and she fears what will happen when she can no longer weave her precious lace. Her sister wants to free her from her slavery, but it comes at a steep price she cannot afford. Then, the story is told from the point of view of an abused dog used to smuggle the lace that Katharina wove into France. A border guard, Denis, is supposed to prevent this, but proves he doesn’t have the heart to hurt the peasants who enter France. Then the story progresses into a new class, when the daughter of a viscount owes an unattainable amount of lace to the Count of Montreau, and can only hope to find it with the help of her cousin Alexandre Lefort. 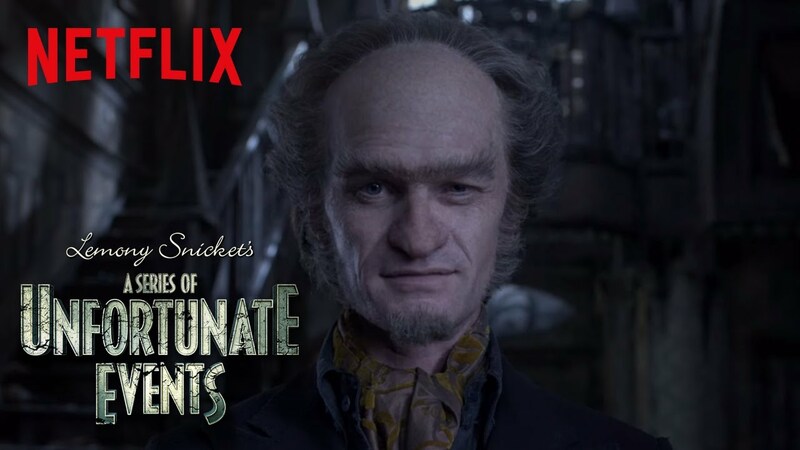 The puppet master of all these seemingly unconnected people is the Count of Montreau himself, who needs a spectacular piece of lace to appease the cardinal who, under instruction from the count’s father, will take away his title and inheritance. 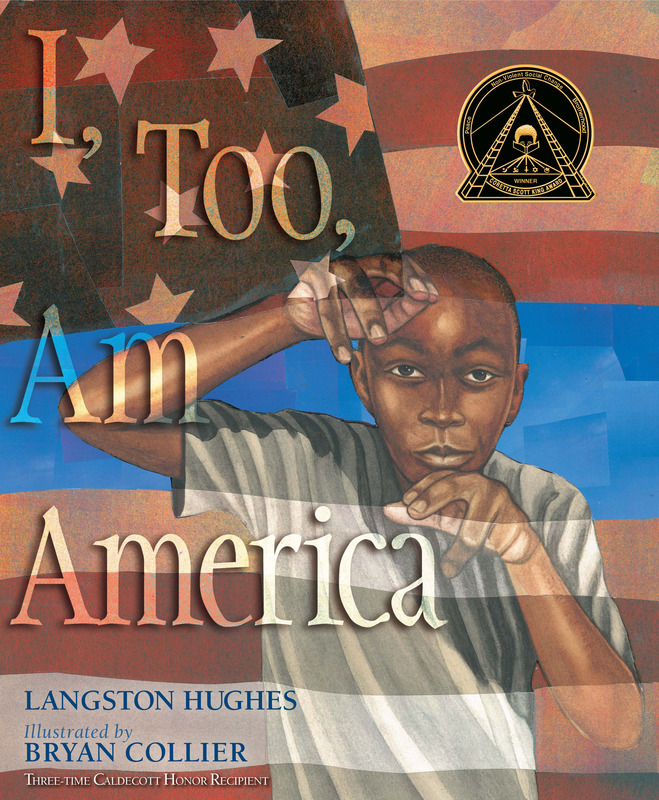 I particularly enjoyed this novel because of the amazing character development that it had. In a novel, sometimes an author does not even adequately develop their protagonist. That is far from true in The Ruins of Lace, as Anthony is able to make the reader grow attached to every character, no matter how seemingly minor they may at first appear to be. Also, this book is a must read for people who not only enjoy a good adventure novel, but for people who enjoy puzzles. Each character influences the others in a profound way, regardless of whether they actually encounter each other. This gives the impression of the book being like a piece of Katharina’s lace; it is composed of many interwoven strands that come together to make a spectacular final artwork. Posted on February 23, 2017 by Angela J. A summer camp for “hard-core lady types”, filled with bear-women, dinosaurs, alternate time dimensions, and a whole lot more crazy supernatural stuff, is the setting of Lumberjanes. 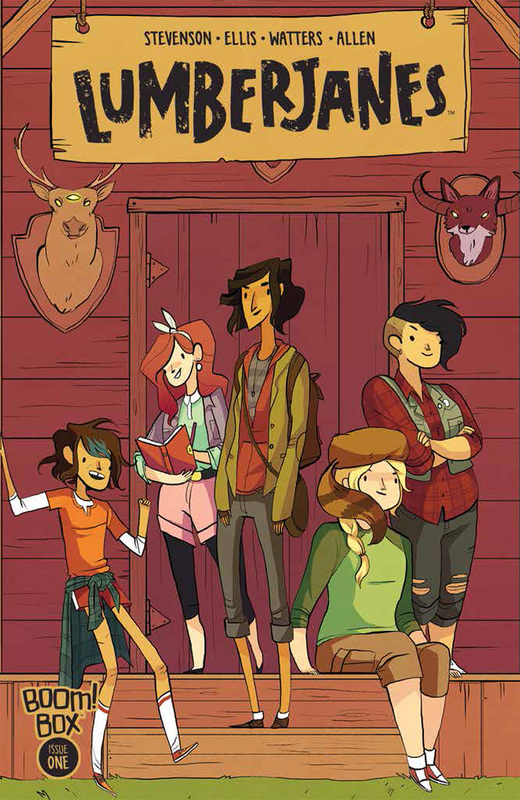 Lumberjanes is a graphic novel series created by Noelle Stevenson, Shannon Watters, Grace Ellis, and Brooke A. Allen. Lumberjanes is chaotic and full of the unexpected, and it’s great. It follows five best friends, April, Molly, Mal, Jo, and Ripley, during their time at summer camp, which is way more magical (literally) then they ever could have expected. And for the most part, they just roll with it, which makes for some great adventures. The characters, both main and supporting, are diverse and well rounded. There is a lot of representation going on in these comics, which is great, especially for an all ages comic. One area of representation that I was very pleased to see was LGBT+ because it’s largely absent from most all ages/kids media. The supernatural aspect of the story is really enjoyable. It’s a bit random and not always super explained, but it’s always really fun and just seems to work. You never know what kind of supernatural antics will occur, but whatever they are, you know they will be enjoyable, even if they don’t totally make sense. One thing that I think is a really nice touch is the way they work the Lumberjanes earning badges into the story. For each story arc (which lasts a few comics each), there is a page at the begging detailing a badge they are working on. The story somehow ties into that. It’s an interesting take on the idea of scouts earning badges because with the Lumberjanes, the requirements for getting a badge are never as straight forward as it seems. Being a comic series, the art is an important aspect. And honestly, I have mixed feelings about this. Their isn’t a constant artist/style for the series, and while I’ve never read an issue where the art was bad, there have been some that just didn’t feel like Lumberjanes to me. Sometimes the art is fairly realistic, sometimes it’s more stylized, so it’s really a matter of personal preference whether or not you like the art in a specific issue. Overall though even when I’m not a fan of the art I still love reading the comics because the story and the characters are always great. Lumberjanes has been around for a little while now, there are currently 33 issues of the main series comic, with the 34th being released later this month, as well as a spin off series and some one-offs. This may be a bit overwhelming for some new readers, but as far as comics go it’s not really all that much, plus it would be pretty great to be able to read that many back to back without having to wait. Overall Lumberjanes is a really fun read that’s doing some great things in terms of representation and overall is something I highly recommend. 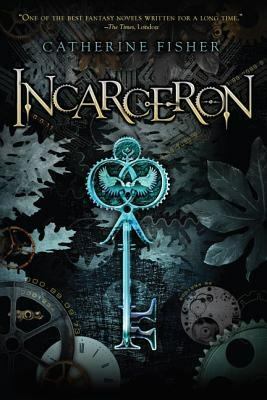 Posted on February 21, 2017 by Anmol K.
The first book in a series, Incarceron by Catherine Fisher tells of a prison world ravaged by poverty and despair. It is separated; a dark world with great technology. Outside the prison, people live a life of luxury. Claudia, a girl from the outside world, and Finn, a boy from the prison, are the main characters in this story. They meet through a magical stone they find in their respective places. With it, Claudia discovers that Finn was originally from the outside world. Later, Claudia recognizes him as her previous betrothed. This motivates her to get Finn out of the prison. A complicated process, the book follows the hardships Claudia and Finn face for his escape. This novel has a great premise and fine element of mystery. Unfortunately, there were several flaws present in the book. The characters, Claudia and Finn, did not develop over the course of the novel. Also, there were many instances in which the story lagged; the book could have been shortened a little bit. Otherwise, the story keeps you reading till the end in order to see what will happen. Even though there is a conclusion, there is a little bit of a cliff-hanger. There is a second book, called Sapphique, and I would recommend it for anybody who enjoyed the first one. Incarceron is available for checkout from the Mission Viejo Library. It can also be downloaded from Overdrive. Posted on February 15, 2017 by Megan V.
We all know about Romeo and Juliet. The famous star-crossed teenage lovers and “O Romeo, Romeo, wherefore art that Romeo?” sort of stuff. Personally, I didn’t like the play. Romeo and Juliet, as actual characters, were plain and the best character is Mercutio, who not only dies halfway through, but is the reason why the play became a tragedy. For those who like dark themes, like myself, there is a lot in this play from duels and poison to talking to skulls. Hamlet, the main character of this play, is told by the ghost of his father that he was murdered by Hamlet’s uncle, who is not only the new king of Denmark, but is married to Hamlet’s mother (a sinful act in its time). Hamlet spends the rest of the play not only facing the burden of a promise that he is not sure to keep, but additionally has to deal with the depression and suicidal thoughts leading up to the start of the play, something that a lot of teenagers could possibly relate to. And of course, it’s one of Shakespeare’s tragedies, so almost all of the named characters die by the end. There’s a lot of troubled minds to question and analyze, so fans of psychology would love this play. On top of that, despite the frequency of death, “Hamlet” is actually a better love story than “Romeo and Juliet.” Hamlet and Ophelia are the only link to each other’s sanity. Finally, the characters are amazing. I loved their development throughout the play and how they appeal to the audience in their decisions. Ophelia, although a dutiful daughter in the end, sasses her father and brother when they tell her to stay away from Hamlet. Polonius, being the nosy parent, spies on everyone and knows their private business. Hamlet, who not only has the role of the emo teenager, but also is clever enough to make fun of every single character in the play. And poor Horatio, who wonders how he got caught up in this mess. All in all I really enjoyed this play and hope that you get the chance to read it. 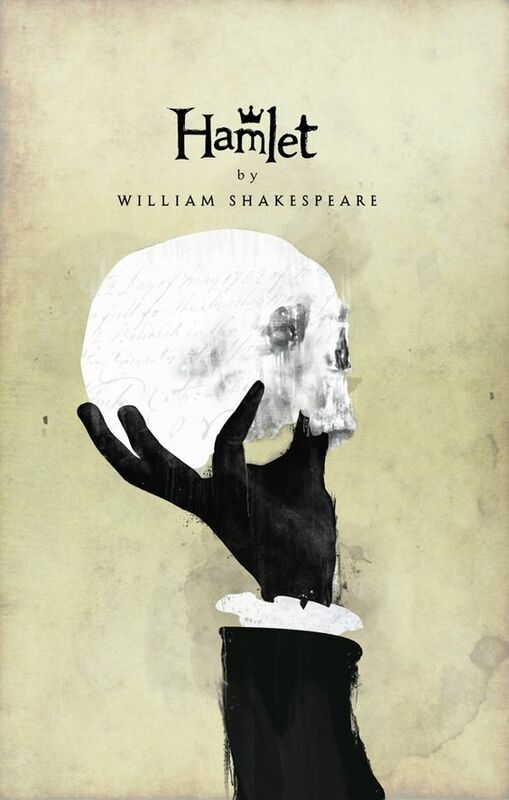 Hamlet, and all of its printed and film incarnations, is available for checkout from the Mission Viejo Library.